As readers of this blog are aware, New Jersey's Earned Sick Leave Law became effective on October 29, 2018. We had previously written about the law, as well as the proposed regulations and the Notice of Employee Rights, which were issued by the New Jersey Department of Labor (NJDOL). The NJDOL recently issued its Earned Sick Leave FAQs, which answer some previously open questions concerning the new law. Of particular note, the FAQs answer whether employers can prorate "front-loaded" grants of paid sick leave for new and part-time employees and the eligibility under the law of employees who work both within and outside of New Jersey. The Earned Sick Leave Law allows employers to provide employees with "front loaded" grants of sick leave at the start of a benefit year, rather than having the employees accrue leave during the year. One question left open by the law and the proposed regulations was whether employers could prorate the amount of sick leave for new employees who receive front loaded sick leave based upon an employee's start date. The FAQs specifically permit such a practice, provided that the employer tracks the hours the employee actually works. If the employee works more hours than anticipated, the employee must receive any additional sick leave earned beyond the prorated amount. The FAQs also explain that employers may also prorate paid sick time for part-time employees based upon the number of hours the part-time employee is anticipated to work in the year. However, employers who do so again need to track the actual hours worked by the employee in case the employee works more hours than anticipated and, thus, earns more sick time than had been anticipated. Employers are permitted to front load paid sick time for full-time employees and use the accrual method for calculating paid sick leave for part-time employees. Employees who work both within New Jersey and outside the State are entitled to full paid sick leave if the employee routinely performs some work in New Jersey and the employee's base of operations or the place from which the employee's work is directed or controlled is in New Jersey. 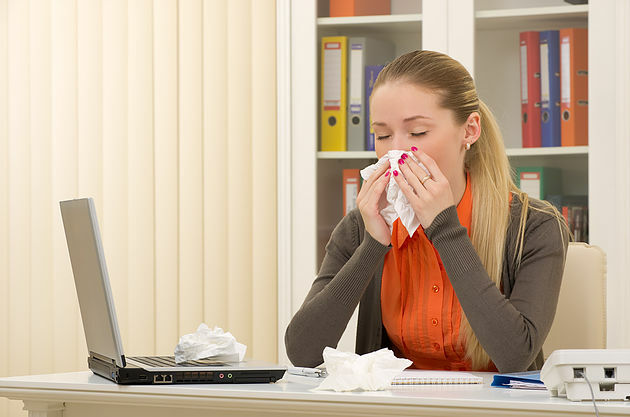 Granting sick leave based upon the location of the employee's work in such situations is not permitted. In other words, an employee who qualifies for paid sick leave under the law is entitled to full sick leave benefits regardless of where the work is performed (provided some work is performed in New Jersey). The same principle applies to telecommuters who work within and without New Jersey. Telecommuters who perform all of their work in New Jersey are always entitled to full earned sick leave regardless of where the employer is based. Thus, out-of-state employers that hire remote employees who work remotely out of New Jersey, must comply with the Earned Sick Leave Law. New Jersey's Earned Sick Leave Law grants employees broad sick leave rights and imposes strict obligations upon employers. All employers that have employees working in New Jersey, regardless of where the business is based, should have their sick leave policies reviewed and updated by competent counsel to ensure compliance with the law. If you have questions about you business's obligations under New Jersey's Earned Sick Leave Law, please call us at (201) 345-5412 or use our online scheduling page to set up a complimentary consultation. It's (Again) Time for Businesses to Comply with Their Year-End Employment Obligations!